Free Countdown Timer provides many tools for helping you keep track of time, so you don't miss important appointments and events. It features an intuitive and attractive interface that offers quick access to all of the app's features and a clear list of the alerts you have set, so you can manage them at will. As soon as you open Free Countdown Timer, you can begin adding alerts. 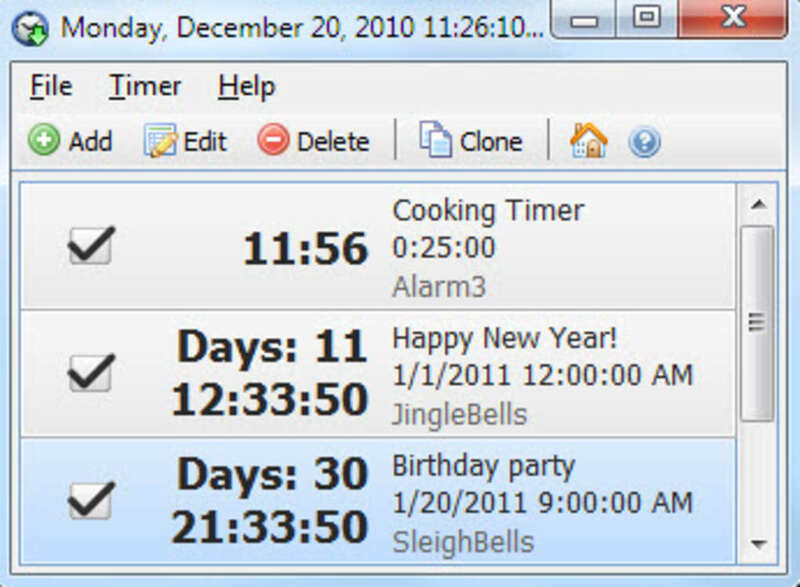 There are three types to choose from, including alarm, calendar, and countdown. The alarm option lets you select the time and day of the week that you want the alarm to go off. You can opt for every day, or you can specify only certain days, and you can choose the alarm sound you'd like to hear when it goes off. 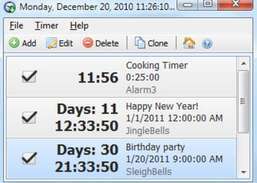 If there are specific dates or events throughout the year that you want to set up alerts for, select the calendar option and set up your alerts the same as you would for an alarm. 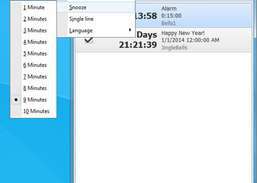 The countdown alert displays a digital countdown to the preset time in a separate window on your desktop. It also sounds an alarm when the specified time is reached, and it also starts counting back up again. 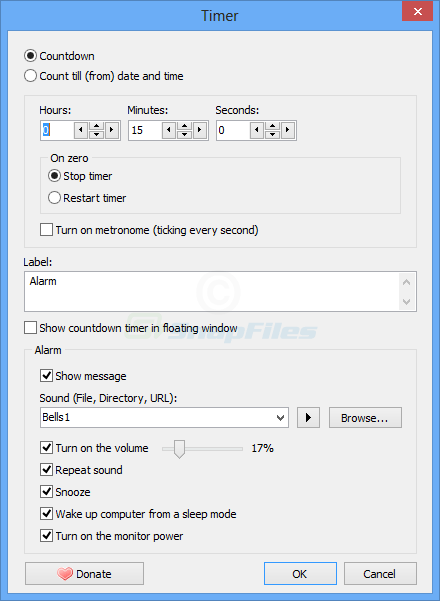 Add a title or memo so you know what each alarm is for, and choose one of the two default alarm tones or add your own. Wake up to the alarm clock that has a different alarm for each day. Set up a timer with countdown mode, an alarm clock, and a stopwatch. 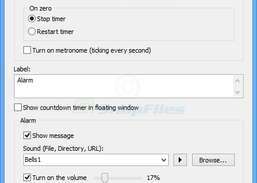 Enable clock with countdown, reminder, stopwatch, and desktop sticker. Create countdown timers that display the remaining time as a colored section of a clock face.